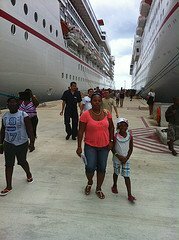 Below are some differences between Princess and Carnival that I observed while on a Crown Princess cruise to the Eastern Caribbean at the end of 2013. 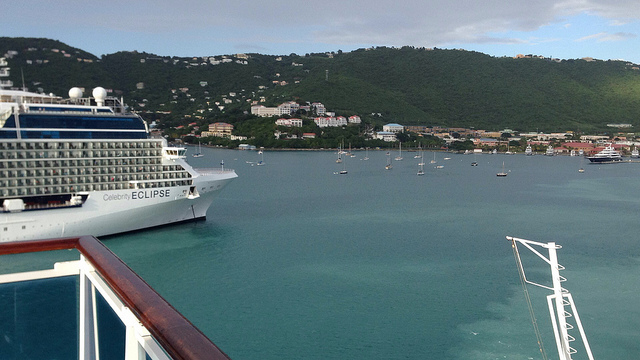 While the differences are not major in anyway, they may impact your decision on which cruise line to sail with. One thing is certain, I enjoyed my first ever Princess Cruises' sailing and have enjoyed the six (6) Carnival cruises that my family has taken. 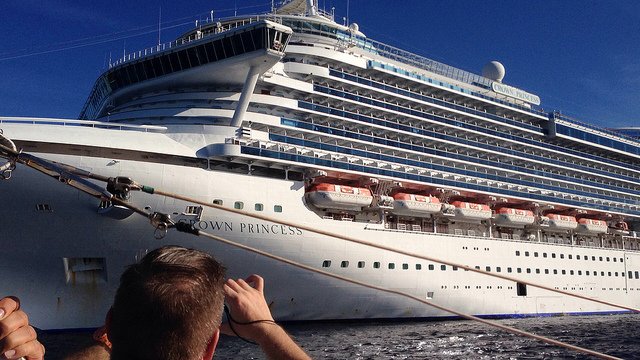 Before my cruise, I had heard that Princess Cruises attracts a more "mature" group of travelers. This was evident from the moment we arrived onboard the Crown Princess. Granted, the cruise was during the Thanksgiving week when most children are in school. However, I spoke with someone onboard who was doing the second leg of a fourteen day cruise and he said the week before was the same. The passenger list on Princess appears to be comprised of a more elderly crowd. Carnival tends to have a "less mature" crowd. As noted above, we have been on several Carnival cruises. One thing we can look forward to is the dining room staff performing for the guests. 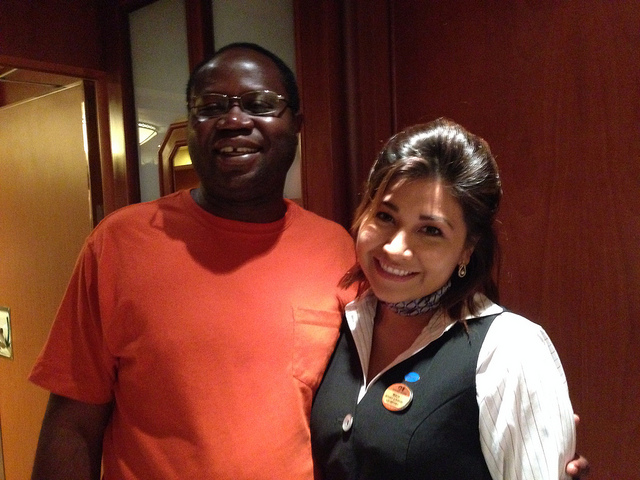 On some ships, the staff performs each night, while on others they perform on the formal nights. This was glaringly absent from our Crown Princess cruise. No one attempted to "entertain" the guests in the dining room. However, the staff served us well and were quite attentive and gracious. If you have been on a Carnival cruise, you know that if you choose to eat at the buffet court, you must get everything for yourself, including beverages. This was different on the Crown Princess. Whether it was breakfast, lunch or dinner, someone or several crew members took our drink order and brought us beverages. What Happened to the Towel Animals? I am a grown man, and do not care much either way, but have grown used to seeing a towel animal left in our cabin at night. We normally pose for pictures with the animals. This was not true on our Princess cruise. 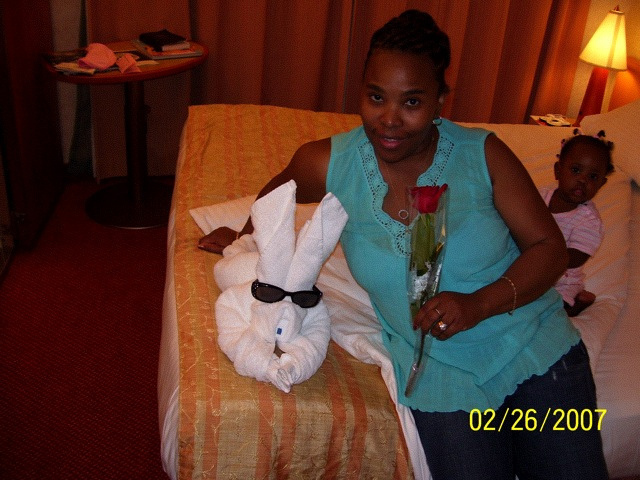 There was not one night when a towel animal was left in the cabin. My wife said that they had an animal left on one night in her cabin. Good for her and our daughter! 5. There Goes the Captain Again! One noted difference between Princess and Carnival was that the captain seems to have been on the public address system quite a lot. We were constantly updated about where the ship was, what was happening, and when we would arrive at our destination. I hope that the differences between Princess and Carnival listed above will help you in your travel plans. However, despite what I have said, also note that having sailed with both cruise lines, I know that you will enjoy each one.